But at the academic level, Lazowska and Roberts say that this time around things just feel different than they did during the first dot-com frenzy. For a variety of reasons, the recent dramatic growth in CS studies may very well continue for a long time, rather than head for a trough like they did in the early 2000s. While these may seem like great problems to have, they are still problems. 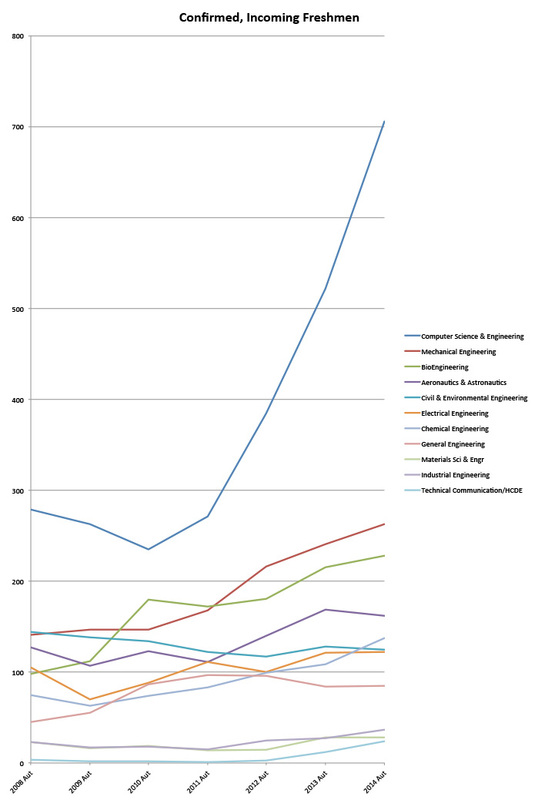 How will academia handle the big CS boom? You can view the entire slide deck for Lasowska and Roberts’ talk here.